Laura is a Licensed Professional Counselor (LPC007425), Registered Play Therapist-Supervisor (S1987), and Certified Professional Counselors Supervisor (#547). She received Master of Science and Education Specialist degrees in Professional Counseling from Georgia State University. 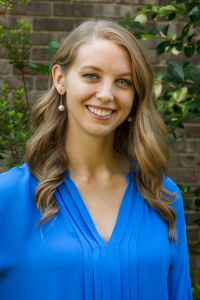 Additionally, Laura has received post-graduate training in play therapy, Trauma-Focused Cognitive Behavioral Therapy, and Child-Parent Relationship Therapy. Since 2010 Laura has served children and families in a variety of settings including children's hospitals, public schools, and Children's Advocacy Centers. Laura's specialties are play therapy and parent-child relationships. She serves children and families coping with adjustment to life changes, grief and loss, anxiety, trauma, and depression. Laura offers individual, family, and play therapy for children ages 3-17, in her Buckhead, Atlanta office. She also offers parent consultations, trainings, and workshops. Laura has presented on topics including positive discipline and child abuse prevention to area schools, churches, and neighborhood parent groups. Laura approaches all children with mutual respect. She does not view herself as an authority figure over children, rather an ally in their corner. Although Laura provides guidance and support to families, she believes in a child's natural tendency toward growth. Throughout her life and career she has observed that children are capable of extraordinary resilience. Because every child is unique in his or her own way Laura seeks to identify and encourage each individual child's strengths and interests. Children who participate in play therapy experience an accepting relationship where they can explore their feelings and express their needs. In turn, these children uncover their capabilities and return to their homes and schools with a renewed sense of confidence. In addition to Laura's work with children, she loves to work with parents. Laura finds that parent education is the best form of early intervention- many times precluding the need for future counseling. After parents have shared their wishes for their child's future, Laura is able to supplement their parenting toolboxes to give them the strategies to see these hopes realized.